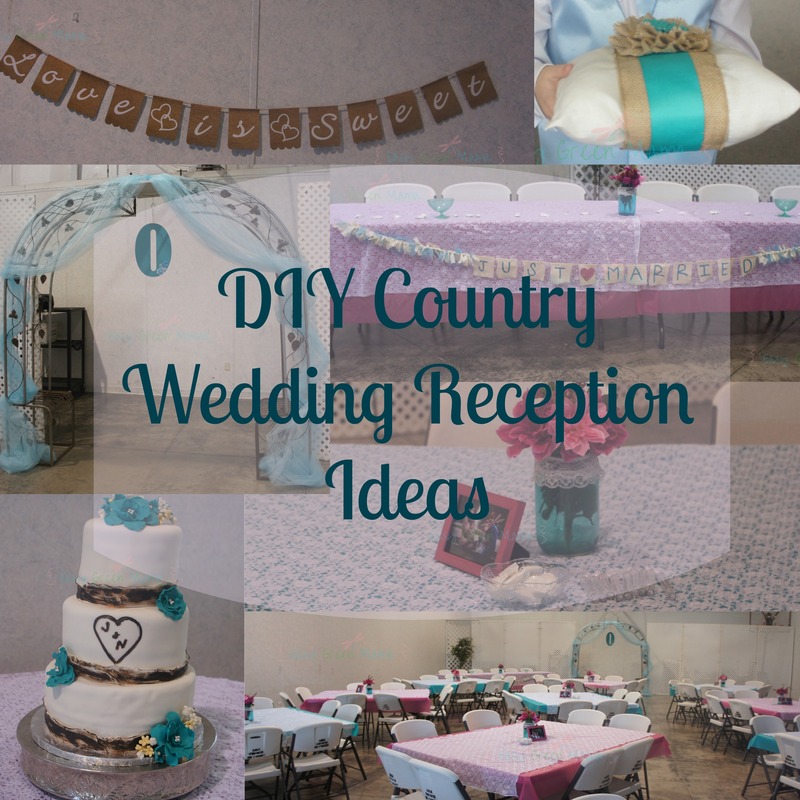 My sister recently had herself a little Country Themed Wedding! Her and her best friend, Sharon (crafty lady), made several DIY decorations. I will be doing a series on all the decorations they made. 1-2 a week for the next 4 weeks! 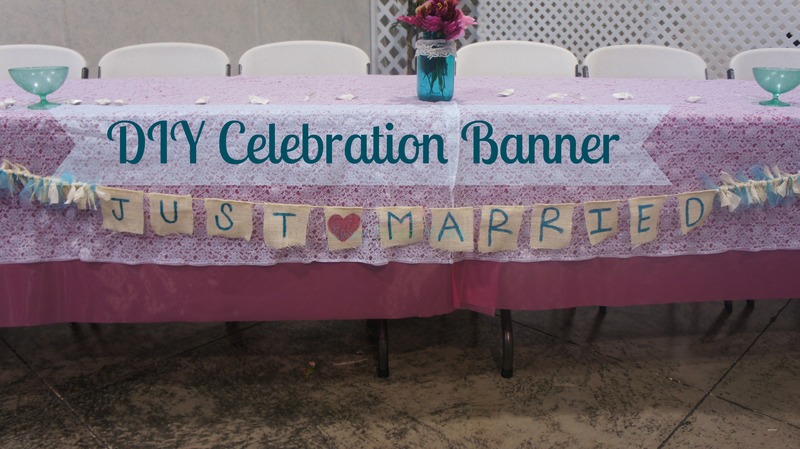 First decoration featured is the Just Married banner! Step 1: Cut twine strand out to desired length. Cut 10 inch (or desired measurement) strips of fabric to tie around twine. Step 2: Cut squares or desired shape (rectangles, triangles) of burlap for letters. You will hot glue onto twine after painted and dried. 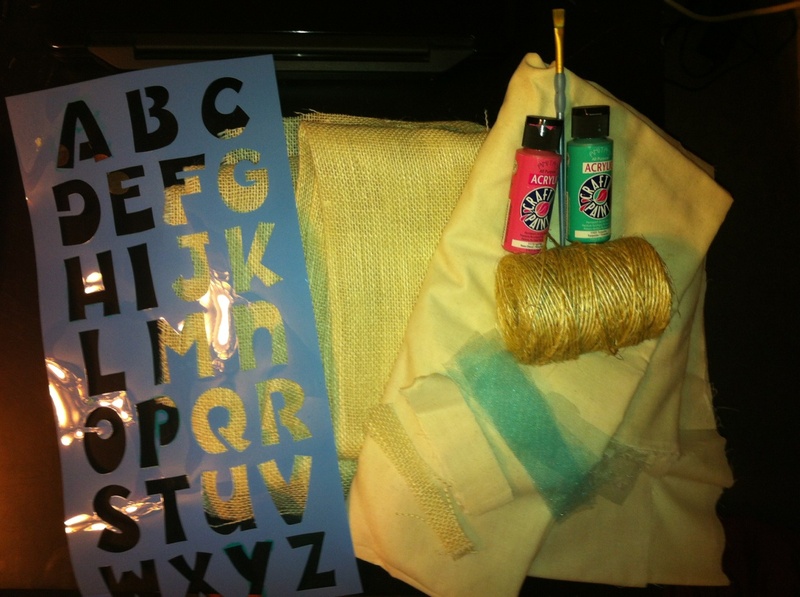 Step 3: Paint letters onto burlap. She free handed this one but you can use stencils. Step 4: Attach tan and tulle fabric to twine strand with a simple tie. Hot glue burlap squares with letters onto twine strand. 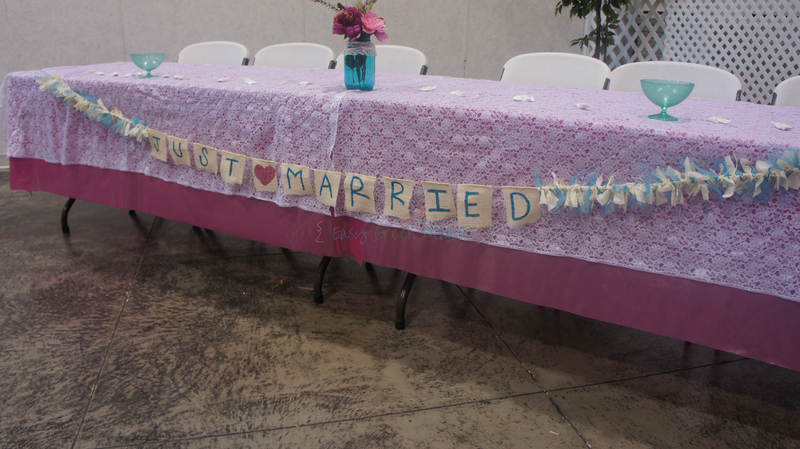 So easy to have your very own homemade banner! You can use this idea for any celebration: Happy Birthday, Baby Shower, Congratulations…. So clever to use burlap! I love this! pinning it, what an awesome idea! The tutu-like fabric is called tulle. Toile fabric is something different altogether! Thanks Miss Greta. Wouldn’t want people buying the wrong stuff. Easy fix, I just edited post! Thanks for letting me know! Wow. I went to a friend’s wedding yesterday, and she had these exact same colors as her wedding colors. Crazy! She even had the teal colored vases and she used these huge, mason jar looking things for the punch. Love these neat wedding ideas!